February 25, 2010 - The Eastern Caribbean Civil Aviation Authority (ECCAA) has reported the bodies of Rosemond W. James, Director General, and Gregory A. McAlpin, Director-Flight Safety, were retrieved from the earthquake that struck Haiti on January 12, 2010. On Tuesday, the Civil Aviation Authority of Haiti (OFNAC), one of the entities representing ECCAA in the recovery efforts, reported the remains of Messrs James and McAlpin were recovered. Although the bodies were identified based on their jewelry and their driver's license, secondary confirmation through a laboratory identification process will be conducted by end of this week. When this is completed, the repatriation process will take place. James and McAlpin had been staying at The Montana Hotel which collapsed in the capital, Port au Prince. The two officials had travelled to Haiti to attend a meeting of the Caribbean Aviation Safety and Security Oversight System board meeting when the earthquake struck. The Board of Directors of Eastern Caribbean Civil Aviation Authority has appointed an interim team to take the organization forward. A recommendation has been forwarded to the Heads of Government and Ministers of Civil Aviation in the OECS for the endorsement of Mr. Donald McPhail to act as the Director General of the ECCAA. The National Office for Civil Aviation (OFNAC) in Haiti has assumed responsibility for the interest of the ECCAA since the departure of the ECCAA Team on Monday, February 8, 2010. The Eastern Caribbean Civil Aviation Authority (ECCAA) evolved from the Directorate of Civil Aviation - Eastern Caribbean States, which may be considered as one of the oldest, if not the oldest institutions in the Eastern Caribbean region. From inception, the Directorate was seen as a vehicle for facilitating a collective and uniform approach to Civil Aviation matters affecting the then Windward and Leeward Islands, which now comprise the Organization of Eastern Caribbean States (OECS) Group. A Director of Civil Aviation was first appointed in 1957, by the Government of the United Kingdom. In 1961, the responsibilities of the post were advertised as "to advise the Governments of the Windward and Leeward Islands on all matters relating to Civil Aviation including airfields and airport developments, the implementation of ICAO conventions and the adequacy of air services." Dissolution of the West Indies Federation in 1962, and reversion of the islands to the former colonial status meant that the Directorate was again exercising the functions on behalf of the UK Government. 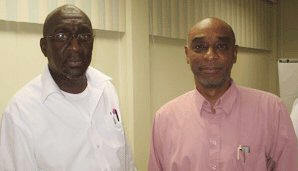 Administration of the Directorate was assigned to the Antigua and Barbuda government until 1968, when the West Indies Associate States (WISA) Council of Ministers assumed responsibility for its operation. In 1982, the Directorate became an Institution of the OECS through the Treaty of Basseterre, which established the OECS. In October 2003, at St Georges, Grenada, the OECS Ministers responsible for civil aviation signed the Agreement establishing ECCAA. However, this agreement had to be given legal effect through an act of Parliament in each Member State. By October 2004, five Member States had passed the Eastern Caribbean Civil Aviation Authority Agreement Act, which signaled the ECCAA's birth. The OECS Institution responsible for regulating aviation safety and security within the OECS Member States in accordance with international standards. Five Member States of the OECS are signatories to the Chicago Convention, which established the International Civil Aviation Organization (ICAO). Accordingly, they are obligated to meet the Standards and Recommended Practices (SARPS) enshrined in ICAO's eighteen annexes. They agree on certain principles and arrangements in order that international civil aviation may be developed in a safe and orderly manner. They must collaborate to the highest degree to achieve standardization and harmonization in regulations, rules, standards, procedures and practices. Thus, they should establish and implement a system that enables them to satisfactorily discharge their obligations and responsibilities. ECCAA provides civil aviation safety and security oversight through a system of inspecting, investigating, monitoring and licensing; and regulate civil aviation activities in all Member States consistent with ICAO SARPS.